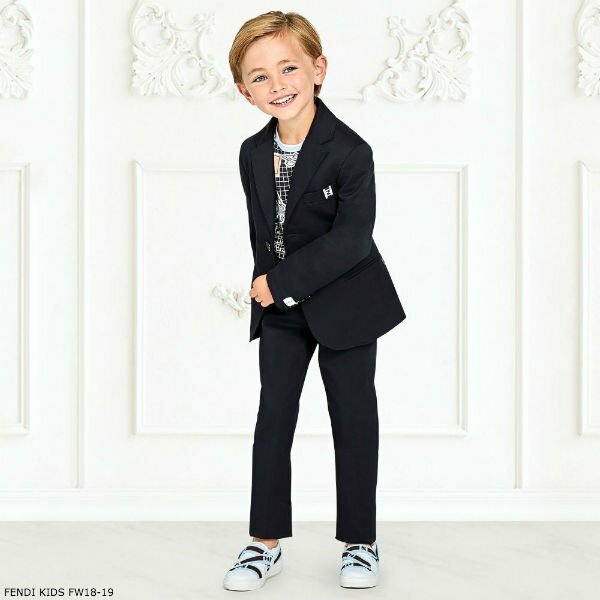 Love this FENDI KIDS NAVY Blue Suit for Fall Winter 2018-19. Perfect for any special occasion, this luxurious navy blue tailored suit jacket by Fendi is made in cotton gabardine with a slight stretch. It has a silky two-tone blue stripe lining and the designer’s logo tab on the chest pocket. Looks perfect with the matching navy blue tailored trousers. For a more streetwear look try this FENDI Boys Black Cotton Jersey Emoji T-Shirt with an emoji print on a black blackboard background and a ribbed blue striped neckline. Complete the look with a pair of FENDI White FF Logo Slip-On Trainers. Unfortunately, this FENDI KIDS NAVY Blue Suit & Black Emoji T-Shirt is not currently available. 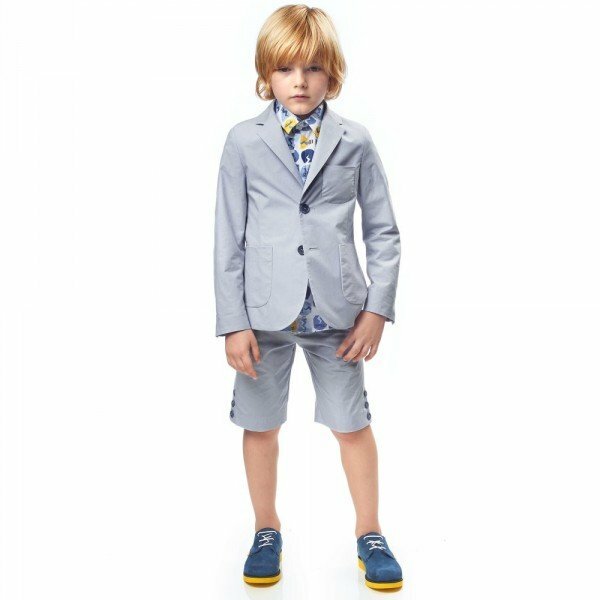 You can shop similar FENDI Boys clothes from the current collection online.